I currently own a 1 acre lot on the Big Island. It is in a lava zone that hasn’t experienced a eruption for decades. I would like to construct a structure from the existing lava on the property. Can you direct me or anyone on the island that assist in this endeavor? If you have crushed lava it can be used as fill for earthbag construction. It be better to simply use larger chunks of the lava to build as you would with stone masonry, as is shown in that blog post. 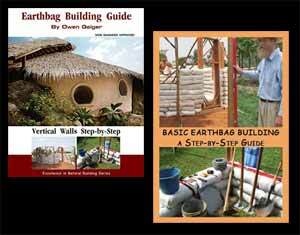 Some folks familiar with earthbag construction in Hawaii: Tim Hall, at 808-854-1945. Mark Hanson, 808-938-2464. John Grover, Royal Dolphin Creations Hawaii contractor 808-281-2150. Hi, I’m planning to build with lava stone in H.O.V.E. Maybe I can help, I plan to dig into and build a cistern in the lava. I also plan to build my own septic tank and leach feild. I have done many over the years for various contractors. We should talk, George Xabo on f.b. 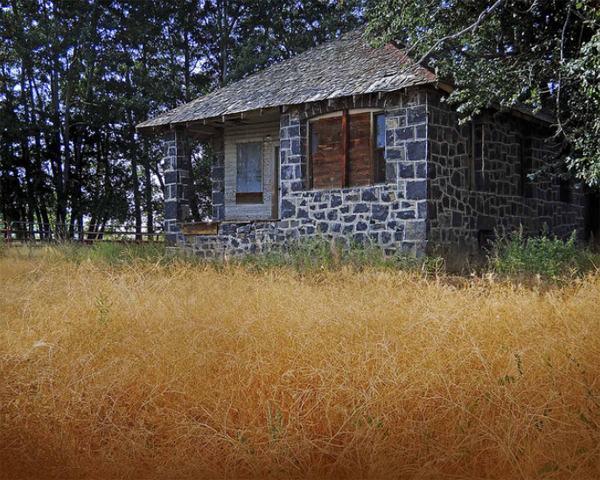 I have acreage in northern Arizona with lots of volcanic rock…. I am looking to use it to build a greenhouse foundation and recycled wood/windows for the rest…is there any problems with using the volcanic rock for this if it is put adequately below the frost line? I see no problem with doing what you propose. I have land near Pahoa HiI. I am a native New Mexican who has built many structures using adiobe earth bricks. Using lava rock is similar and walls should be thicker at the base and a bond-beam with rebar is poured as a top -plate to imbed bolts used to secure roof-rafters. Ironwood logs serve well for vigas or ceiling jouists and rafters. 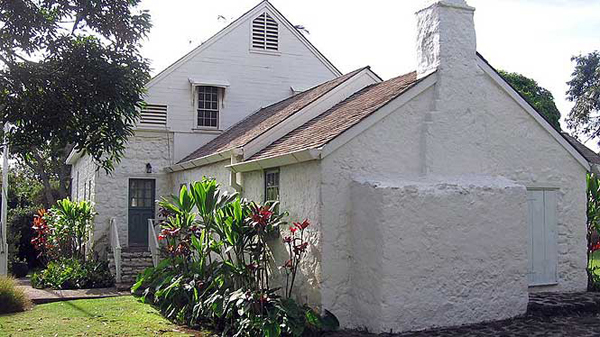 All materials are present and free to those who work hard with aloha attitude toward your neighbors. Love the idea. I want to build a structure on the big island from the lava on the property. Any suggestions? Are there contractors experienced in earthbag construction on Maui? We would need labor help on the build. If you study the materials on our websites, all you really need are some helpers. I doubt you’ll find anyone to figure things out for you and run the project. I live on Maui, very interested in natural building with plenty traditional construction experience and some natural building. Looking to get move forward with natural building here, did you ever make it to HI? am looking to learn about lava rock construction… I have a plan to own property in Hawaii and wish to utilize the local lava rock resource to build a home and the lava, which is abundant, may be a good idea. Any info/recommendations on what where and how will be listened to. Search this blog for keywords lava rock or scoria. Everything you need is here free. The BEST article is called the Earthbag Scoria Casita. He shows how to reinforce earthbag walls made of lightweight insulating materials. What is a standard size bag used for the lava rock. Thank you again In advance. Standard bag size is 18″ x 30″ measured when flat and empty. I would like to know if a person builds a earthbag house using lava rock what size can it be? There is the red and black for like driveways small pieces. I have back Issues and I need to build an earthbag home due to bad credit. So I want to know what size to put into the poly bags. The best is 1/2″ or 3/4″ screened and cleaned scoria (lava rock). Make sure it’s porous and lightweight, not heavy and glassy. The air spaces are what provides the insulation. Take a look at this site if you haven’t already. They show all the details. That’s good to know. Thanks for sharing. These houses are a good example of using what’s locally available to build affordable housing rather than shipping energy intensive materials from afar off. 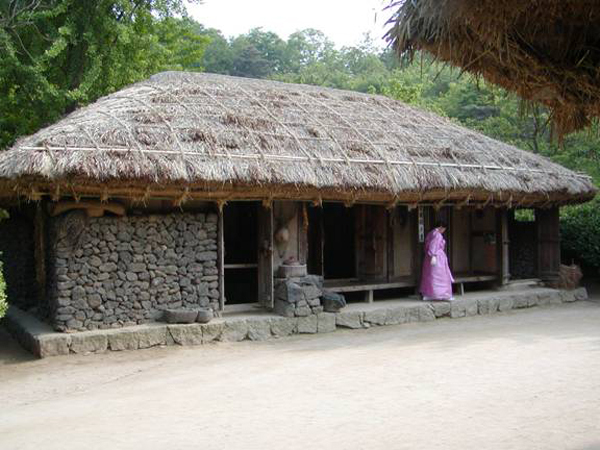 You can also find homes that have been standing for a couple of hundred years made out of Korean adobe and low overhanging roofs. Yeah, there are lots of adobe houses that have been around a very long time. But where I live the ants would infest and eventually destroy adobe walls without adequate protection (borax, etc).